COMMUNITY PARTNERS - Integral Steps, an integrative education non-profit supporting the balanced development of individuals, families and communities, through music, movement, psychotherapy, ecology and creative arts! Colorado and Portland based! Since 2015, Integral Steps has called Reel Kids and Boulder Music home. Not only do we manage their business, but we hold many of our classes in their Superior and Boulder locations! Since 2015 Integral Steps has been offering community events through our local partnership with Moxie Bread Company! From concerts to crafts, we are excited to continue our monthly events with Moxie - thank you for always giving us a place to call home! We love having classes at the Longmont Dance Theatre Academy. Their beautiful space and inviting atmospere is a wonderful learning environment for our classes and we are so grateful for their support! Since 2016, Integral Steps has called the Louisville Recreation and Senior Center home for our classes! We are so excited to be holding classes through the center again in 2017 and cannot thank them enough for their support! We are honored to have been apart of Play it Forward Scholarship program from its founder and director Jessica Sherer's first days. It is a beautiful mission that strives to serve individuals, families, and communities, just the way we do at Integral Steps. Integral Steps' co-executive director, Emma Shubin and Jessica have been long-time friends and colleagues dating back to their days in music conservatory. They share a common passion for social justice and social change. Most recently, at the 2016 National Flute Association's Annual Convention, Jessica and Emma represented Play it Forward for the Arts Venture Capital Award and won! Not only does Integral Steps hope to continue to support Play it Forward through finding and supporting funding opportunities, we hope to support staff through professional development workshops, and in the future to open a Play it Forward Scholarship program in Colorado! Libraries are the foundation of communities, fostering a love of learning and involvement for members of all ages! 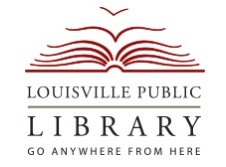 We are so grateful for the support of both Longmont and Louisville Public Libraries!